An Alaskan combo delight. A high speed ocean raft combined with an 11 zip zipline. Both will be 2 of the highlights of your trip. 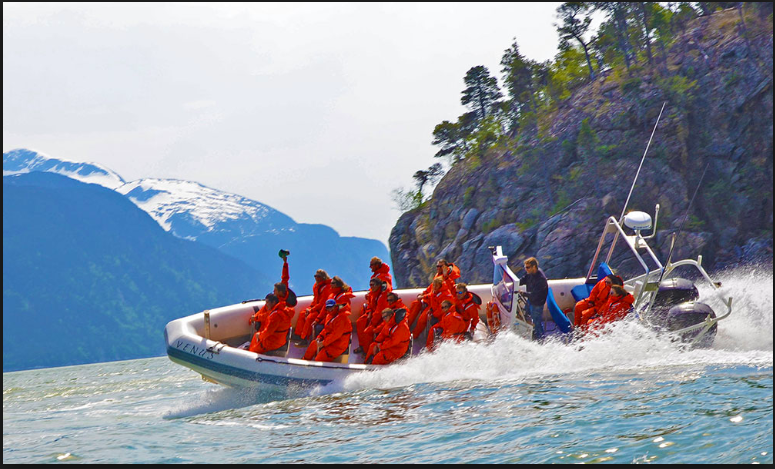 The Ocean Raft will get your heart pumping while traveling just under 30mph with you dressed in a warm full body float coat with Oakley goggles and gloves. A boat ride that you will never forget. Grizzly Falls Zipline will complete your active day. 11 Zips will take you over some of the most beautiful scenery this area has to offer. A Unimog Truck will take you and others high above the Dyea valley to take all 11 zips back down the mountain. 2 great choices for the "active" cruiser.